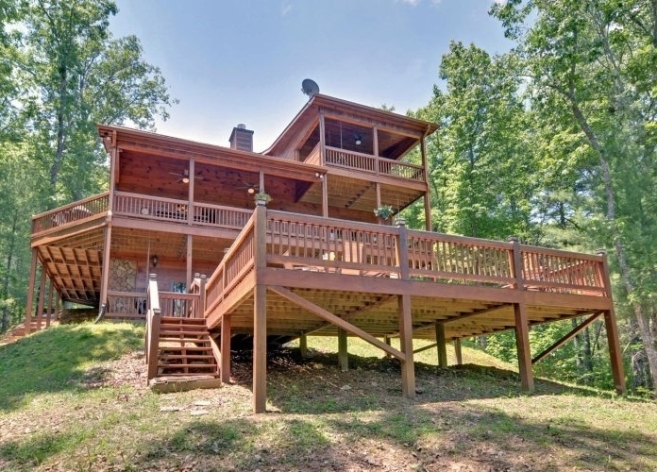 Blue Ridge cabin rentals deliver a vacation experience like no other! Our town and surrounding area has over 1,000 vacation cabin rentals , second in Fannin County, where there are over 4,000 total rentals. There are rentals on top of mountains, and cabins in the cool of the valleys along our rivers and streams. There are cabins for rent that range from $99 per night to ones that are over $500 per night. Others that allow pets and some offer seclusion away from it all! Our vacation rental properties range from 1 bedroom up to 7 and 8 bedroom cabins. This means it’s very easy to find accommodations for a large group or romantic getaway. Take your choice from large waterfront cabins, small cozy mountain view cabins, or Blue Ridge cabin rentals that are close to town with activities in and around Blue Ridge. Just make sure you book early! Why rent a vacation cabin from us? 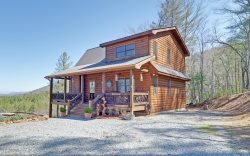 Blue Ridge cabin rentals are the perfect answer for the people who are looking to get away and recharge. 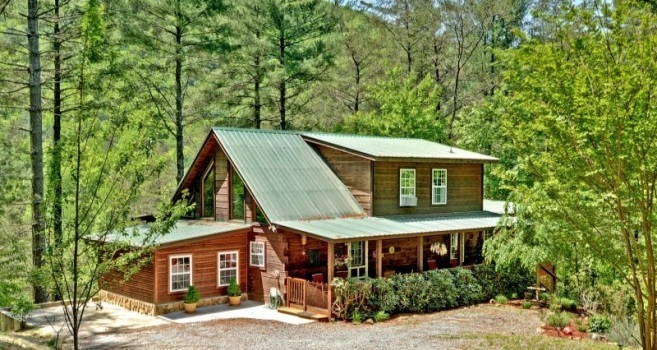 Cabin rentals in the North Georgia Mountains are very popular to people in the Southeast. Most of the vacation rentals in and around town have hot tubs, a game room with a pool table or ping pong, and some cabins are on a river, stream or lake. Most have mountain views, being nestled in the woods. But all our cabins promote a private mountain cabin rental experience. Other things that make luxury cabin rentals an awesome experience are most of them have wood exteriors and wood interiors, and our attitude is this is a perfect use for our natural timber. Our cabins come with all-wood exteriors and interiors and this makes up part of your complete vacation experience and is one reason people come to Blue Ridge. Our vacation cabin rentals have the visual beauty of real wood and real logs from the best wood our mountains have to offer. Spend a few days in one of these cabins, and you’ll have the same attitude about our wood. Other reasons to get a rental cabin in Blue Ridge is for privacy. Our cabins are not stacked on top of each other, nor side by side to one another. With our cabins, they exist in a natural flow of green mountain scenery. In other cities that consider themselves mountain towns you often find more crowded conditions.